HSBC UK has launched its strongest ever current account proposition for university students, and has extended the availability to all apprentices. Following the initial introduction of the Student Account to Degree level apprentices last year, which was a first for a high street bank, HSBC UK is now extending the availability to all apprentices aged 18 or over, enabling one million apprentices to enjoy the same benefits as those studying a full time degree at a university or college. Also for the first time, HSBC UK’s Student Account has a linked Regular Saver account, which provides savers with the opportunity to get into a savings habit with a great interest rate to make their money work hard for them. The Student account is available from Thursday 21st June, much earlier than in previous years, enabling applications from students with a guaranteed offer from a university or apprenticeship scheme, whereas previously applications were only accepted after A-Level results were known. The Student Account also gives access to the HSBC Connected Money app, the first app from a UK bank that allows customers to see their accounts on one screen, meaning students and apprentices will be able to keep a close eye on their money from up to 21 different banks. Becky Moffat, HSBC UK’s Head of Personal Banking, said: “Everyone’s banking needs are different, some of us are spenders and some are savers or a mixture of both, but whichever you are the changes we have made to this years’ Student Account will support you and your needs. “The introduction of a Regular Saver will help some get into a good savings habit with a great interest rate, to help turn ambitions into reality, and our guaranteed £1,000 overdraft will help those who might need a little more help and flexibility for their account. “While we know the majority of customers will not need it, students and apprentices have the option in future years to increase their limit if they need additional spending power. Apprenticeships are a key part of creating a stronger and fairer economy where people of all ages and backgrounds can fulfil their potential through work, with learning, leading to nationally recognised qualfications, available up to degree level. Keith Smith, Director, Apprenticeships Group, ESFA said: “I am delighted that those individuals who choose an apprenticeship are getting more access to some of the benefits more widely available to university students. It helps us massively in the work we are doing to showcase how apprenticeships are an equally valid route to a great career as going to University. Student Credit Card – £20 amazon voucher for customers who take out a card (between 1 August and 30 September) and spend £50 on it. Connected Money is currently only available to HSBC UK Current Account customers with Online Banking and an Apple device on iOS 10 or above. Android users – watch this space! • Joined-up banking – see UK current accounts, savings accounts, credit cards, mortgages and loans together in one place, so users can clearly see how much they have and how much they owe across all their connected accounts. • Discover – no matter how much a user spends, they can discover where their money goes with HSBC UK’s spend analysis feature. This allows users to see their spend across categories and keep a track on spending habits. 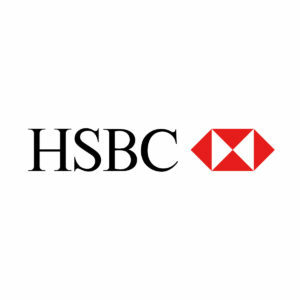 • Balance After Bills – users can find out how much they have left in their HSBC UK current account until payday, once Standing Orders and Direct Debits have been taken into account. As well as this, HSBC UK has created a handy bills calendar to help users see what bills are coming up next. • Messaging – customers get an insight into their finances through in-app messaging, allowing users to receive regular insights and tips about their transactions and spending behaviour. • Round-ups – this feature rounds-up all of a user’s debit card purchases to the nearest pound and automatically transfers the change from their HSBC UK current account into their HSBC UK savings account. • Nudges – will make savings rule suggestions to customers based on their spending habits by applying smart algorithms through nudges and auto rules.